Wheatgrass is a nutrient packed supplement prepared from the grass or leaves of the common wheat plant (Triticum aestivum) at a relatively young age. At this stage, it contains high levels of nutrients such as vitamins, minerals, amino acids, and chlorophyll. Wheatgrass can be harvested in many parts of the world. It is even possible to grow it indoors and harvest it yourself. 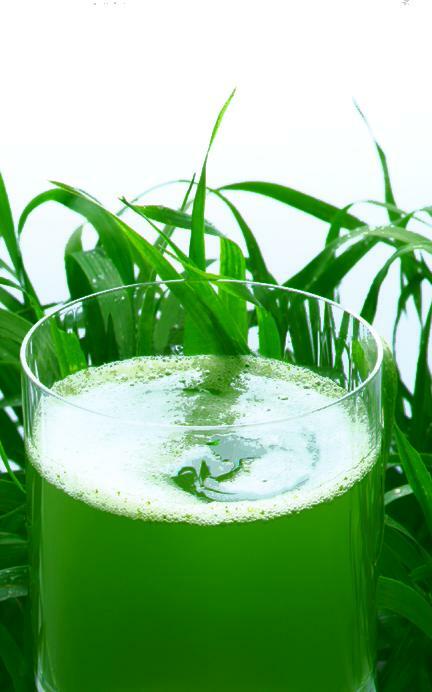 Wheatgrass is especially popular as a health tonic in Indian culture. The benefits of wheatgrass come from its nutrient profile. For example, chlorophyll, such as that present in wheatgrass is said to have cancer preventing properties (Ferruzzi & Blakeslee, 2007). Per 3.5 g serve, wheatgrass contains 860 mg protein, 38 mg lysine, 18.5 mg chlorophyll, 15 mg calcium, 7.5 mg vitamin C, as well as other vitamins and amino acids. Other notable nutrients include alkaloids, carbohydrates, saponins, gum, vitamin K and mucilages (Rana et al, 2011). Many of the nutrients in wheatgrass are antioxidants, and it is therefore beneficial to health in a similar way to antioxidants. Other than the general benefits associated with consuming wheatgrass, it has also been shown to increase the level of haemoglobin in the blood (Singh et al, 2010). This may be beneficial to improving exercise performance, particularly for endurance athletes. Wheatgrass is a safe food with few known side effects. However there should be some precautions that should be noted. Being a product of wheat, wheatgrass may not be suitable for those suffering from wheat and gluten allergies. Being high in vitamin K, it is also wise to consult your healthcare professional if you are taking blood thinning medication. Anywhere between 16 to 100 mL wheatgrass juice has been used in trials, each showing positive results (Rana et al, 2011). The daily intake of wheatgrass can be divided into smaller servings and taken throughout the day with food. Wheatgrass can be purchased as a stand-alone supplement as a powder or juice. It is also a component of supplement blends such as Greens supplements and antioxidant supplements. Wheatgrass can be seen as a multivitamin, and as such, it can be an important component of a balanced diet. It can be stacked with pretty much anything.